iOS 10 beta 1 jailbreak done ? With iOS 9.3.3 still being beta tested, iOS 9.3.2 is currently the latest stable firmware available to the public. On the other hand, even though the iOS 10 beta 1 is still being tested for bugs and vulnerabilities, it has already gone live for developers. However, there may be good news for jailbreak aficionados. This is after reports surfaced that the Pangu team had already sent out invites for an event slated for July 1st, which may (or may not) feature the unveiling of iOS 9.3.2 jailbreak or iOS 9.3.3 jailbreak. The reason we say it possibly won’t, is because the event is mostly a security conference, and Pangu isn't known for announcing jailbreaks at security events. However, considering the fact that iOS 9.3.3 is currently in beta stage, the release of a jailbreak before the official stable build of the version is launched, could very well enable Apple to resolve any current security vulnerabilities. This would deem the jailbreak useless. Therefore, a July 1st iOS 9.3.3 jailbreak release is highly unlikely unless Apple has scheduled a public release of iOS 9.3.3 by the end of June. Apple has already launched several iterations of its popular iOS 9, including iOS 9.3, iOS 9.3.1 and iOS 9.3.2. 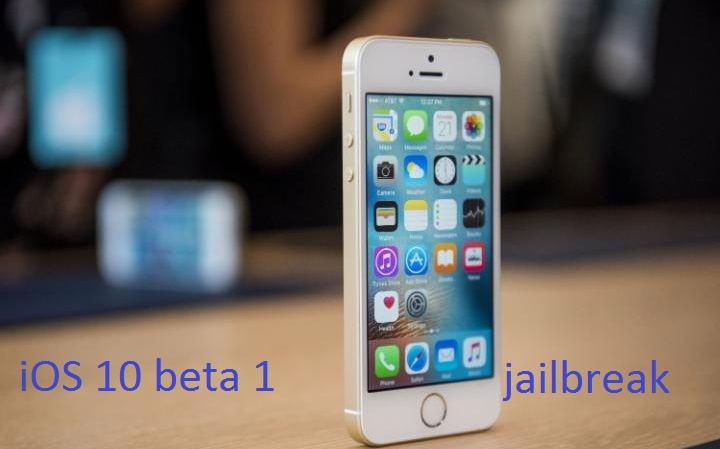 So hopes are high among Apple users for any upcoming jailbreak. The Pangu team’s most recent release was the iOS 9.1 jailbreak tool. This unfortunately proved useless, as soon after the tech giant had all iOS 9.3.1 vulnerabilities fixed. What’s more, by the time the jailbreak was released, most users had already moved on to a later version of the firmware. Other reports claim that an iOS 9.3.2 jailbreak has already been discovered by Luca Todesco, a popular Italian hacker in the jailbreak crowd, and that he could have also jailbroken the iOS 9.3.3 beta version. Apparently, a number of other hackers have also been able to jailbreak iOS 9.3.3 but are yet to release it. In other related news, a reputable hacker iH8sn0w has supposedly already found an iOS 10 jailbreak. The hacker discovered iOS 10 beta 1’s jailbreak and even went further to release its video on YouTube. This simply means that it is possible to jailbreak iOS 10 and if it’s possible for iH8sn0w to accomplish this, then it probably won’t be so hard for Pangu and TaiG. It is possible that the first public release of iOS 10 could see a few of these exploits fixed, since developers still have ample time to straighten out these vulnerabilities. While Apple is yet to release its latest iOS 10 operating system, hopefully, with a little patience, the jailbreak team will grace us with the release of an iOS 10 jailbreak soon after the firmware is made available in September. Read this for iOS 9.3 jailbreak status.